Yes, The Entertainment System, in light of having taken a year or two too long to finish our album, has just released a special Valentine's Day single featuring the song "Celebrate Black Wednesday" off the forthcoming (hopefully in a month) Decibel Hunter album. Also included are the bonus tracks "The Film Song" and "Ripper." The single is available locally at Sound Exchange and Cactus Music and Video, and of course, via parcel post, through [band member Maurice Carter]. The band, long dormant due to members moving to different parts of the country, is preserved on the Internet like a fly in the amber. Comprised of vocalist/programmer Kim, vocalist/guitarist Dorvin Rosenthal, and synthesizer player/sound designer Maurice Carter, the band now belongs to the ages. It long ago went dormant, never again to rise into the Houston music scene. The album referred to in the email press release was Decibel Hunter, the group's last effort . Those curious to hear the single can access it here, at the band's MySpace page. (Direct hyperlinks are necessary with this group, of course, because their moniker is not exactly Google-friendly. Try to find them on the Google. I dare you.). Recently, Maurice Carter, the band's keyboardist, submitted to an email interview. 1. Take us back to 2003. How did you decide to write "Celebrate Black Wednesday"? Well, I'm certain the song's older than that. Valentine's Day fell on a Wednesday in 2001 and I'm pretty certain the song dates to events or references from that particular Valentine's Day. That was one of the songs Dorvin had initially demo'd on his four-track that we re-recorded for Decibel Hunter (other example's include "Cigarectomy" and "Columbus on the Rocks"). Unrequited and/or abusive love are frequent themes in Dorvin's lyrics, so I have no idea if this song is about a particular incident or just general imagery. Although we re-recorded it, the arrangement closely follows the original as far as I recall, so Dorvin deserves arranging as well as writing credit (and, of course, he played most of the instruments). Even though the last half of the song is essentially just the same melody repeated over and over, he had very explicit ideas about how the sound and aesthetic should slowly change with each additional instrument and sound. A particularly fulfilling song to play live. 2. 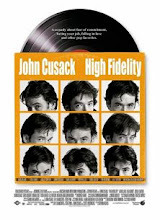 How did it come to be released on Valentine's Day 2003 (which, actually, was not a Wednesday)? Well, all three of us write rather obscure lyrics, so we're frequently unsure of the exact motivation behind the other's writing. In the case of "Celebrate Black Wednesday," though, we at least knew it was about painful love and Valentine's Day, a theme close to all our hearts at that point, if I recall. Ultimately, though, it was just a case of needing a deadline. We'd been working on Decibel Hunter for a good 4+ years and the perfectionism was killing us. We were proud of what we'd been producing but unable to bring it to that final point that we could actually put it before the public. The idea of doing a single off Decibel Hunter reduced the pressure. A particular problem here was Kim, whose perfectionism was near paralyzing at that point. He's an example of someone who won't let go of a project unless there's a deadline, but was, unfortunately, working in an industry where there are no deadlines when you're just starting out. 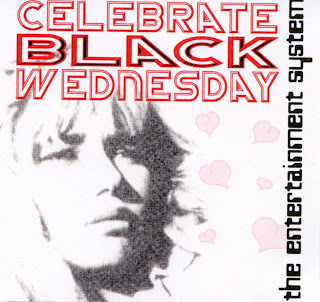 So, ironically, though there were several other songs we'd been working on as a whole for several years, due to Dorvin's enthusiasm and consistency of vision, "Celebrate Black Wednesday" was just about the most polished recording we had at that point. My recollection is that it was Kim who suggested the single (though I could be way off on this). I'm certain, though, that Dorvin and I pushed for "Ripper" and "The Film Song" as its B-sides. These were "old" Kim material and, as such, he refused to touch them. "Ripper," in particular is an interesting case. It dates from a period when Kim was developing his own style working with computer music and manipulation of sounds. It's deeply tied (in theme) to the complex history between Kim and Dorvin, so I don't feel competent to comment on the content, but I will point out that some of the melodies in the song date to a pre - pre - Entertainment System stage of their collaboration, a song by Dorvin called "Lighthouse Hill." Anyway, the song depends critically on sounds that Kim had manipulated heavily at a lower than optimal sound quality. Since we couldn't locate the original files, though, they couldn't be reproduced at the sound quality we were aiming for with Decibel Hunter. In many ways, "Ripper" is the first instance of the aesthetic which guides Decibel Hunter, yet we couldn't include it on the album. "The Film Song" is also quite old. I first saw Kim perform it when pressured to sing on an acoustic guitar late one night at a dying party in '99. I'm sure it had been around for a while by that point, though. We've played it together live since the band's earliest incarnation. Anyway, frustrated with our progress and with Valentine's Day coming up, we created a deadline for ourselves. We took the best current versions of "Celebrate Black Wednesday" and "Ripper," then we rerecorded the bulk of "The Film Song," pasting in the full band ending from the old sweatbox (Austin studio) recording sessions that formed the kernel for 8 Song CD. I recall working on tweaking the transitions and adding little sonic flourishes (like the final blurb and fadeout to "Ripper."). Then, after tweaking the mix all night long, Kim and Dorvin took our mix to a "real" studio (albeit in the ghetto) to be mastered. I wasn't present at the mastering session, but met them at the studio at the end of it. My impression was that the experience had been trying. Anyway, we obsessed over the sound quality after that and were ultimately happy with what we'd produced. I designed the packaging and replicated it at Kinko's. All CDs were packaged by hand by me. 3. What is the current status of The Entertainment System? 4. What has Maurice Carter been up to musically of late? Not much. I spent last year learning to play old time fiddle. Kim and Dorvin are still very serious about their music, however. Dorvin plays with Springfield Riots (formerly Program), and a number of other projects (including his own). Kim's band Twisted Wires is signed to Italians Do It Better Records and occasionally tours the U.S. He also plays with the iconic noise-psychedelic band Indian Jewelry. 5. How did a "Celebrate Black Wednesday" video came to be made? It was basically a formal exercise / indulgence of nostalgia. I'd shot some footage of Dorvin lip syncing the song a couple of years previously, and I put that together with some additional footage I had lying around to see what would happen. of course, I'd always wanted to make a video, and this just seemed like a natural excuse. There are several layers of our musical and personal history depicted in that video, and that makes it difficult for me to anticipate its effect on the casual viewer. I remember being inspired by an HCC classmate playing a certain pattern on guitar during the waning days of my tenure. That was the germ. When I sat down to work out the backing Casio track, it just flowed. Cliche, I know, but the ending just happened. On its own. The last time I saw a good friend (at one of our shows - the mausoleum-) he told me the second part was a little too after school special but the first part was good. It was also quite an honor for it (that disco - y 1st part) to be jammmed one night @danseparc @ Numbers. Ii remember the 1st proper studio session for it being awkward. Kim and I saw the titanic exhibit that day at HMNS. Back at the studio afterwards, I just blocked up. Kim tried to goad me into trying to program replications of silly things I had done on Casio at home. And it just didn't work. But eventually I got over it and just started over on the Casio in the same manner as before . . . only with the versatility a ghetto rock pc can provide. So I kept on building it. I was a bit surprised when Kim and Maurice suggested we put out a single and that track be it. We put it out as was for a Valentine's release. By this time, Decibel Hunter was either almost finished or we were nearly done with it. By the time we finished up in June, more tracks had been added, and I felt the track had outgrown its somewhat awkward, pubescent origins. I remember playing back pretty much my final mix back to Kim and him saying something like "Wow, you really finished that." The one time the album version trumped the single version. It was nice to get this out somehow. A favorite from the early days, this was left off the 1st record but felt to be eligible for inclusion here. We took elements from archival studio recordings and added to them. The mix was done too hastily. hindsight. Classic. Again, nice to throw this out. A total Kim track. Yet he interpolates segments of a tune I wrote in high school, (as well as one by someone slightly more famous) so its implications have always been good mill grist. Amazing melodies.